This is me trying to rectify a weekend of bad eating. 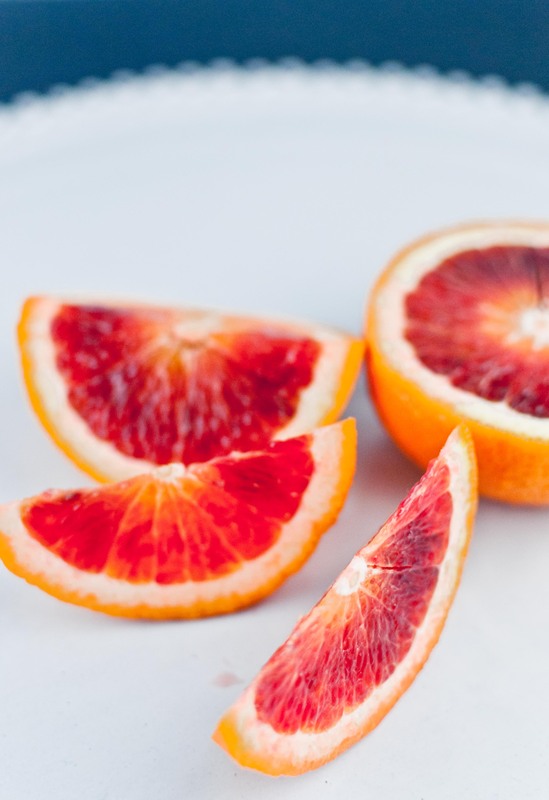 I do believe that this is the first blood orange I have ever bought myself. These were not quite ruby red with a hint of tartness that made me pucker a little. Clearly, I need to learn how to pick them better.